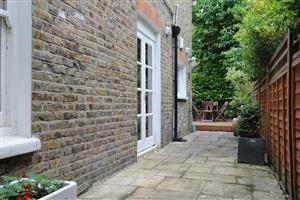 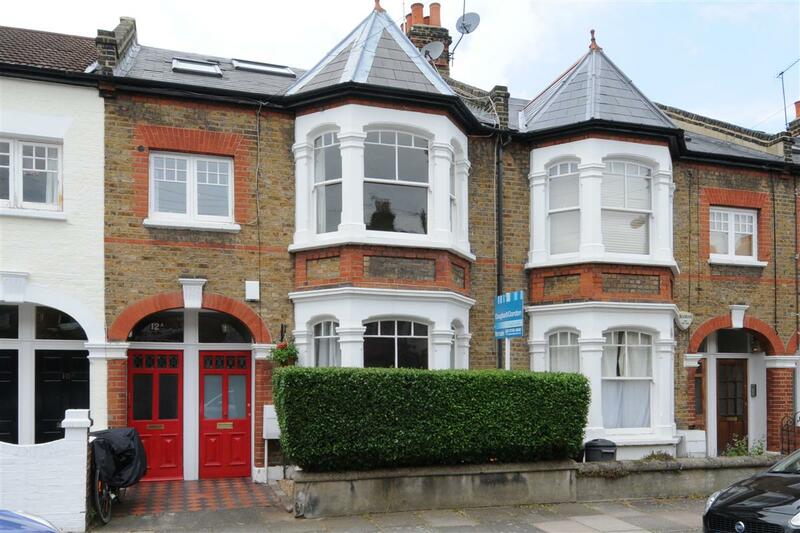 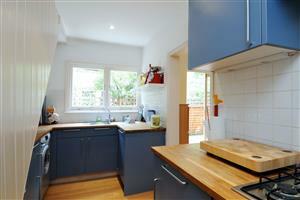 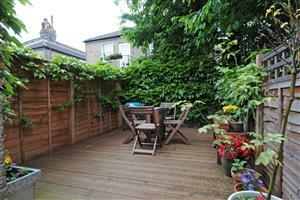 This delightful period purpose built ground floor flat (865 sq. ft.) is located on this smart residential street and is entered via its own front door. 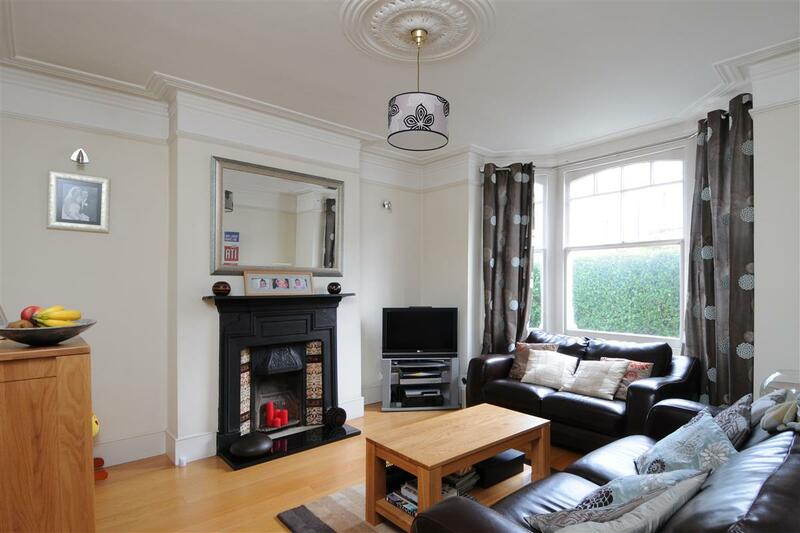 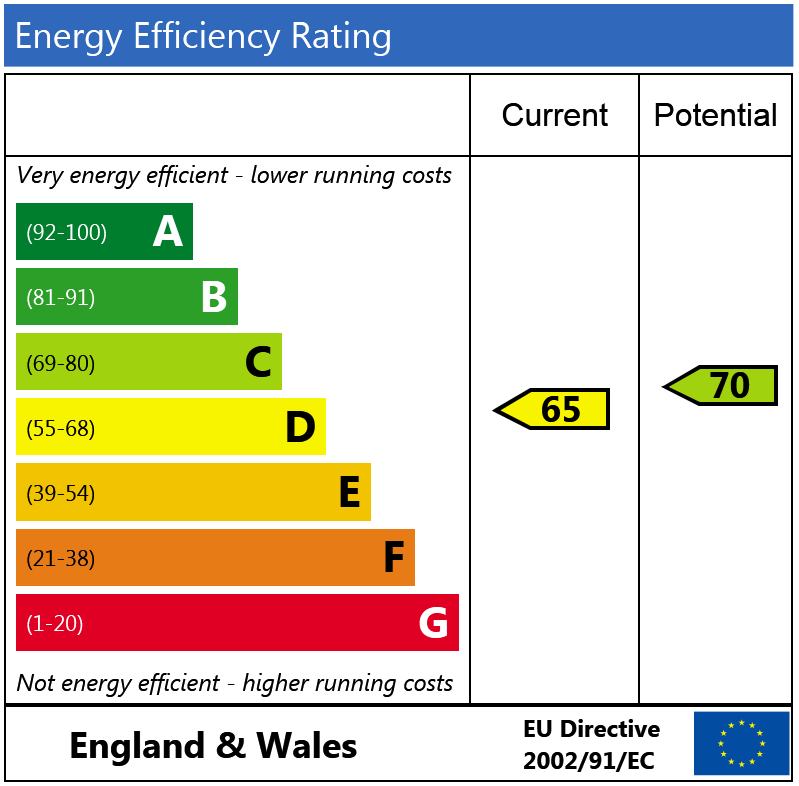 The property comprises a reception room with wooden floors, original features and fireplace and a bay window. 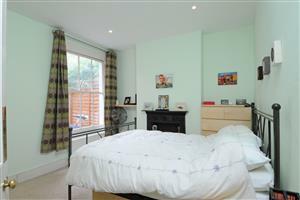 The master bedroom has a range of fitted cupboards and feature fireplace and views over the garden. 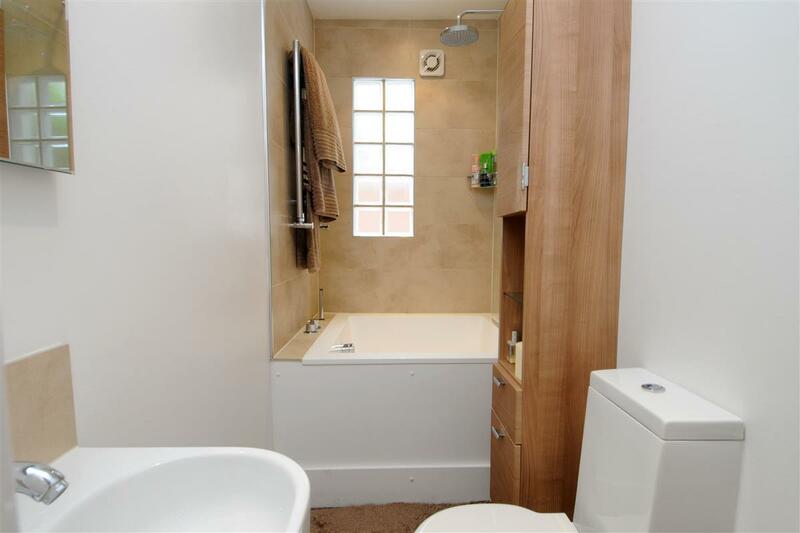 The recently updated stylish bathroom is in good condition and features a unique square bath with an overhead rainforest shower. 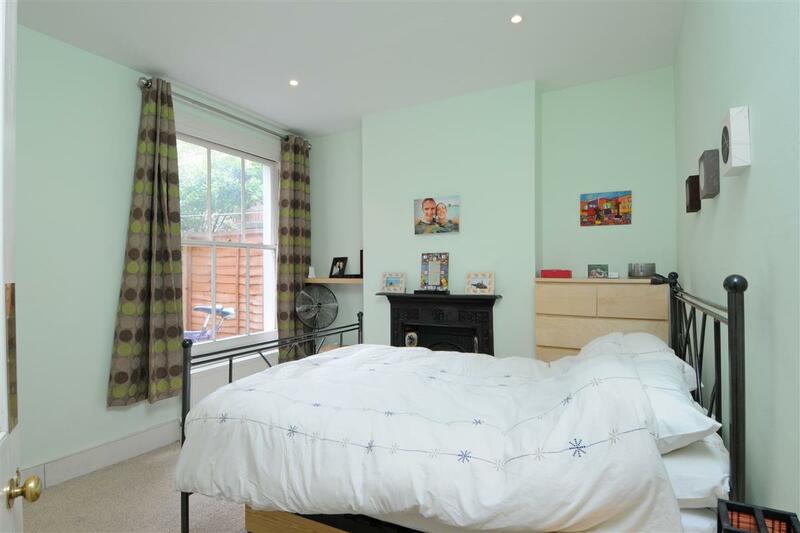 The second bedroom measures 8'10'' x 8'10'' and features an original fireplace and has views over the garden. 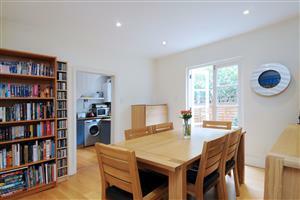 The dining room has wooden floors throughout and double doors to the garden and provides the access to the fitted kitchen. 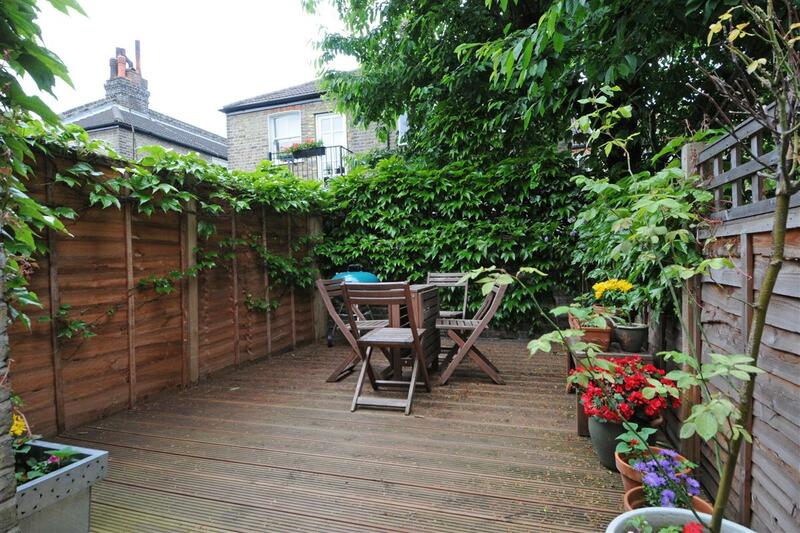 The garden which is larger than average to the rear is west facing and is paved and has a delightful raised decked area for barbequing and table and chairs. 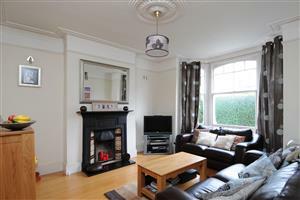 The property is presented in good condition throughout, has its own front door and is being sold with the freehold to the building. Blackettt Street runs between Hotham Road and Bangalore Street in the heart of West Putney and is within easy reach of the shopping and transport facilities of Putney High Street, as well as Putney Common and the walks along the River Thames.